Over the coming weeks we’ve been helping our clients prepare for the new Google requirement for GTINs to be provided for anyone listing their products on Google Shopping. Are you showing ads on Google Shopping? If so, read on! In 2015 Google selected 50 brands and asked them to provide GTINs for their products that were listed on Google Shopping. Fast forward to 2016 – and Google is now requiring everyone who wants to be listed on Shopping to provide these. If you are targeting Australia, Brazil, the Czech Republic, France, Germany, Italy, Japan, the Netherlands, Spain, Switzerland, the UK, or the US, then you need to have GTINs within your product feed by 16th May 2016 or you will face disapproval of your ads. A product’s GTIN (Global Trade Item Number) uniquely identifies it within the global marketplace, it is essentially the products barcode. 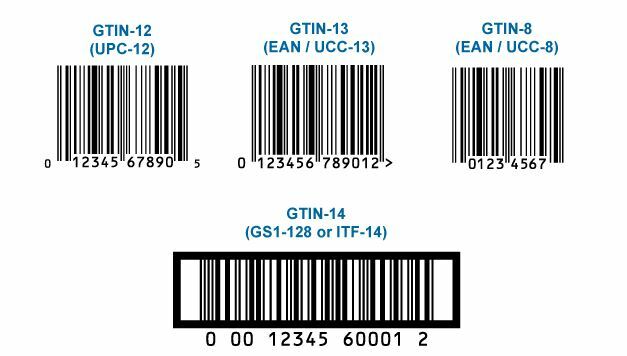 Individual GTINs are a 12 or 13 digit number printed under the barcode on the packaging of your products that look like the examples below. Why Are Google Making The Change? By providing GTINs it means Google can understand exactly what products you’re selling. Google also states that it will help them serve your ads in a more effective and relevant way to users. This also means that ads are now shown in more places like YouTube and Google partner sites. It is reported that merchants who have already provided GTINs have seen a 20% conversion rate increase. You need to include all GTINs per product within your product feed. You will then need to make sure that these are accepted within your Google Merchant Centre account by 16th May 2016 to ensure your ads continue to run on Shopping. If you sell bespoke or handmade products which don’t have a GTIN, then this update won’t apply to you. You do however need to ensure that you set your ‘Identifier exists’ to ‘FALSE’ which will tell Google that you do not have GTINs for the product in question. If you need a hand with this update, give us a call on 01904 21 51 51 and speak to one of our paid specialists today!